Farhan Akhtar and Shibani Dandekar to get married? HomeShibani DandekarFarhan Akhtar and Shibani Dandekar to get married? Shibani was recently seen with Farhan's children and family spending time. Talks about actor Farhan Akhtar and Shibani Dandekar, who are going to get married in the year, are now being discussed in Bollywood. Over the past few months, the pair has been in the news for many years due to their social media posts. 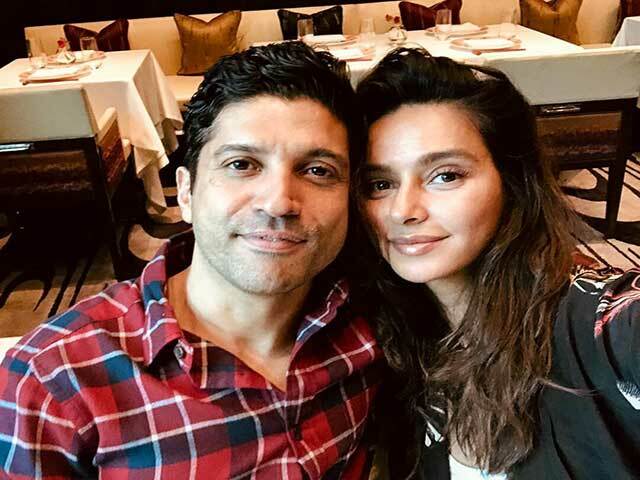 Farhan Akhtar and Shibani Dandekar often appear to share photos with each other on their Instagram account, since then their relationship is being discussed. Recently, both of them had also met in the reception party, so the relationship between these two actor & actresses was almost exhausted. Shibani was recently seen with Farhan's children and family spending time. Farhan Akhtar and Shibani Dandekar are very serious about the relationship. Also, the sons of Farhan liked along with Shibani, they would definitely be thinking next, "said his close friend in an interview. So they are both discussions that they will get involved in marriages in 2019. Farhan is divorced. In 2017, he divorced his wife Adhuna Bhabani. This couple also has two children. After the divorce, Farhan's name was linked to Shraddha Kapoor. However, Shakti Kapoor did not agree with this relationship, because of his breakup. After that Farhan chose to date Shibani. Web Title: Farhan Akhtar and Shibani Dandekar to get married?